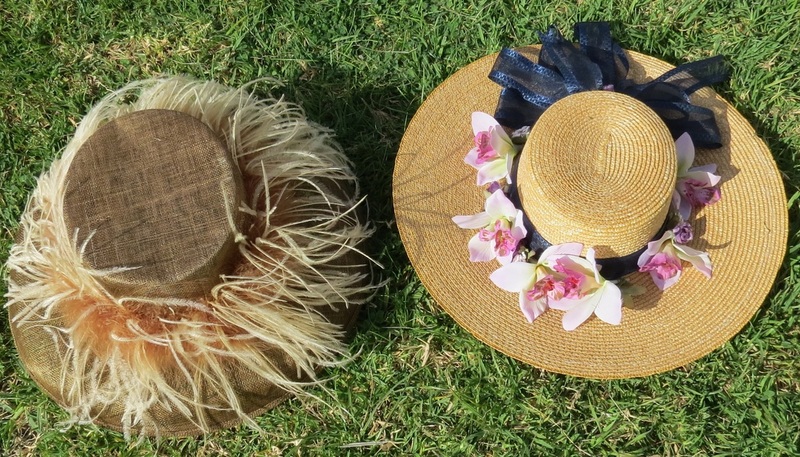 Women's Hats - just a few. 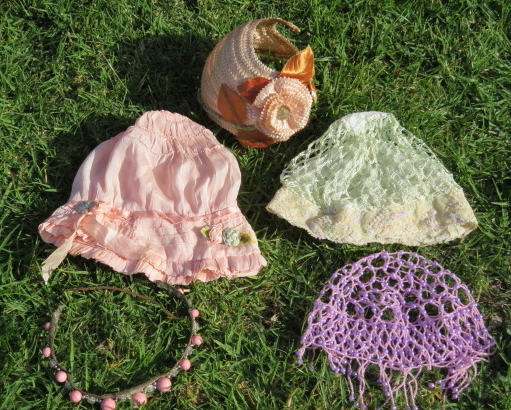 There are also a few vintage wedding veils, for sale at low cost. 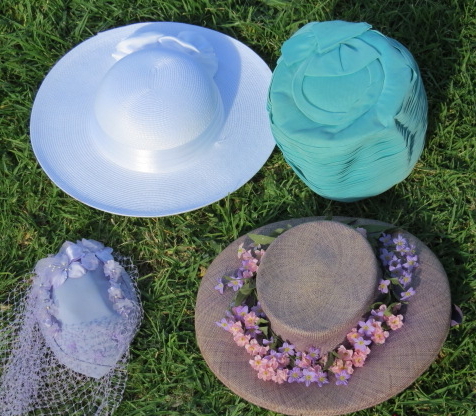 Clockwise from top left: 1990s; 1960s pillbox H10; Edwardian tilt hat (not for sale) H11: 1970s fascinator. All original. Low-cost rental, discuss with us. H7 Bowler hat, wool felt. The flower is removable. 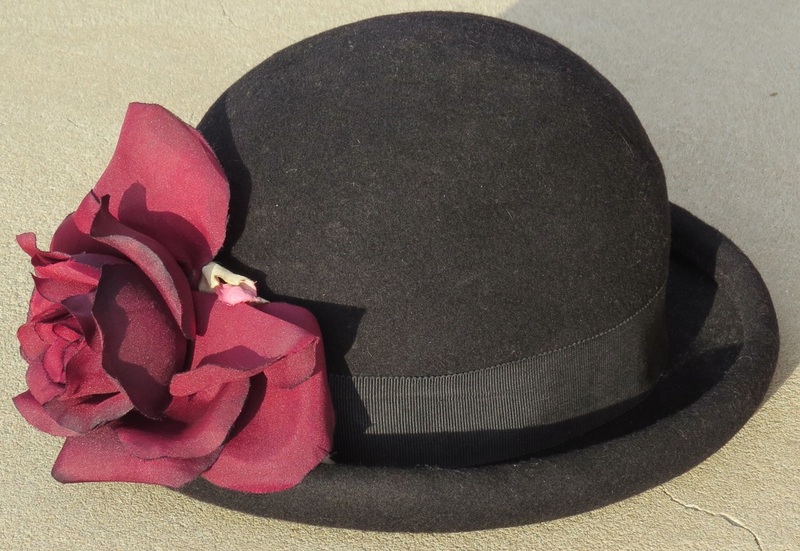 Vintage, but bowler hats are current Paris chic. $25. 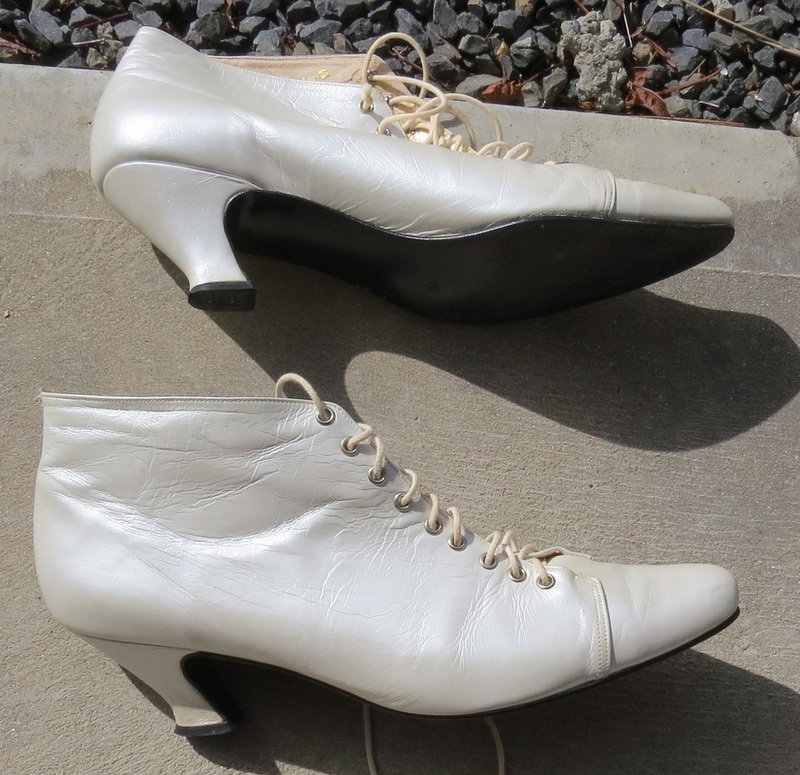 We don't generally do shoes, but this pair (size 9) go well with Victorian or Edwardian dresses. Girls' repro mob caps. 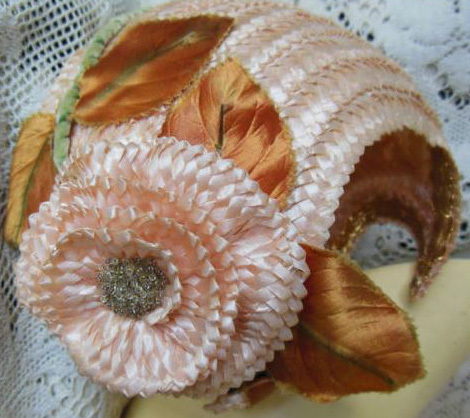 Repro Edwardian straw hat with roses. Low-cost rental, discuss with us. 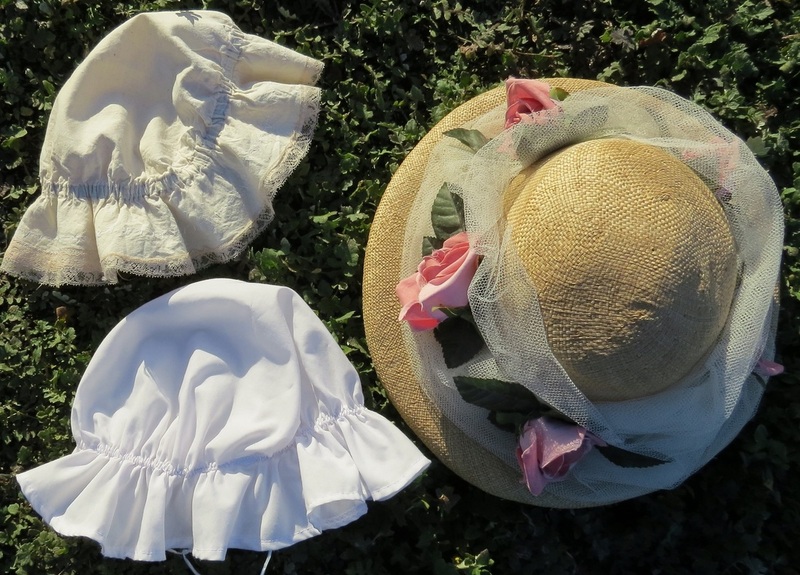 More repro Edwardian hats. Ostrich feathers, fake orchids. 1920s headwear for sale. All original except Egyptian Revival purple beaded cap (sold, but there is a similar blue and gold one, H6, $15). Green cloche H4 $30. Small-size pink boudoir cap H3 $25. Beaded headband H2 $85. Straw cloche H1 below, adaptable for size, $60.